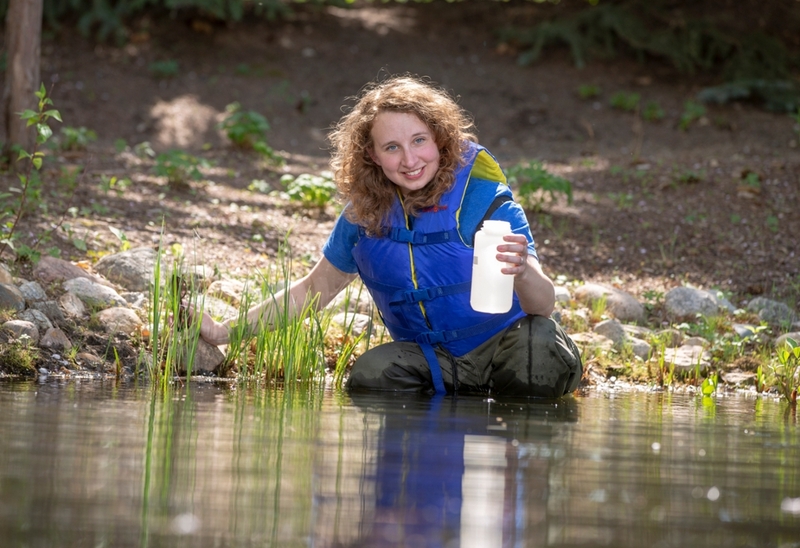 Student Emily Cavaliere studies a water cleansing process that keeps lakes “alive” in winter. (Photo credit: Dave Stobbe for the University of Saskatchewan). Denitrification in lakes happens under ice as quickly as it does in the summer, USask researchers have found. 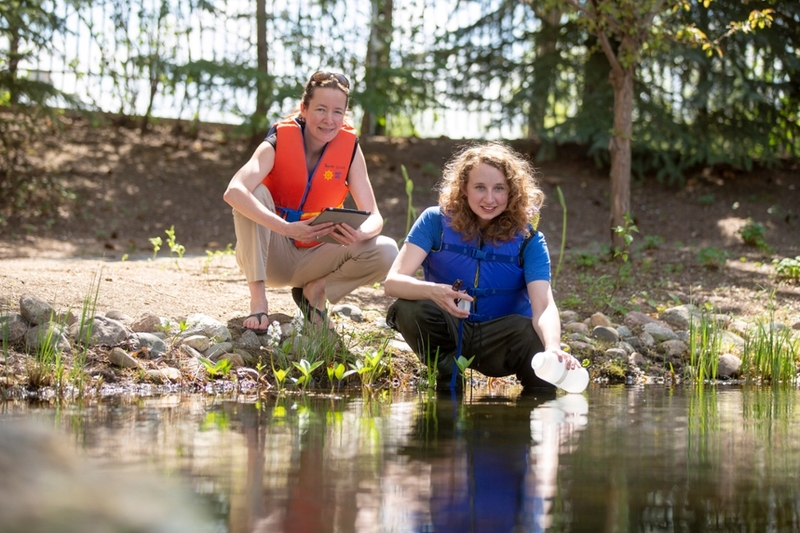 University of Saskatchewan PhD student Emily Cavaliere and her supervisor Helen Baulch have found that a cleansing chemical process called “denitrification” helps maintain water quality of Prairie lakes during winter — a previous scientific unknown. By taking up nitrogen, “friendly” bacteria that live in the sediment of lakes eliminate this nutrient permanently from water. This denitrification process is crucial for maintaining water quality. “Winter research is really rare all over the world — but particularly so in Saskatchewan, where cold weather creates challenges even for the bravest student,” said Baulch. The researchers received funding from the federal agency NSERC, the U of S Global Institute for Water Security, and the U of S School of Environment and Sustainability (SENS). Article re-posted on Jan 18, 2019 4:16:48 PM .